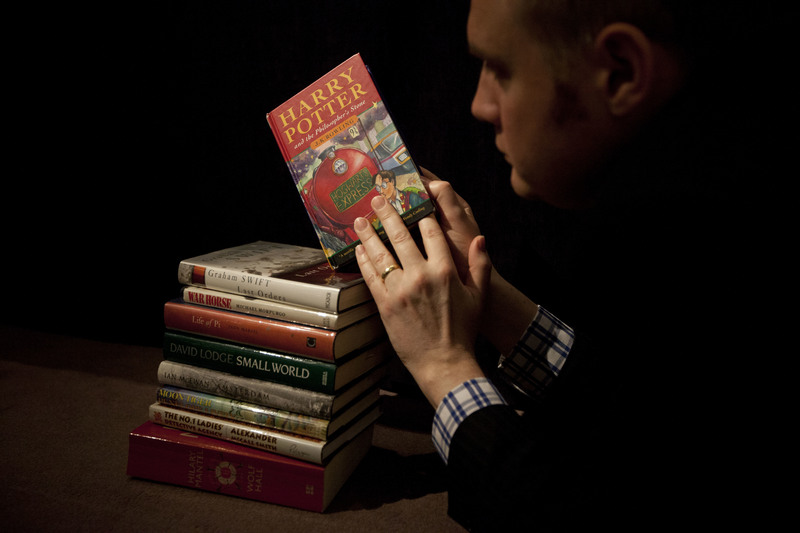 While it is unlikely that my students will have read the whole of the New Testament, all have read the seven Harry Potter books at least twice and some as many as eight times. For several years, I have been offering a theology seminar at the College of the Holy Cross, “Defense Against the Dark Arts,” about Harry Potter. In teaching the seminar—the name of which is taken from a class that Harry takes in the books—I ask in good Jesuit fashion: What portal have my students’ imaginations stepped through? Christian faith is built on a story, and stories require imagination. The religious experience of transcendence is what happens when enchantment breaks through. To walk into the world of Harry Potter is to enter a world that is enchanted, and this (with a bow to Charles Taylor) is what readers thirst for. J.K. Rowling’s work tells us goodness can emerge from the most unexpected of places. In the Harry Potter stories there are Ignatian undertones, too. The relation between dementors (soulless, soul-sucking creatures) and patronuses (magical images that manifest the courage and hope of a wizard) is particularly intriguing. While the dementor robs people of vitality and happiness, the patronus, when invoked by a wizard, drives dementors away by projecting memories of joy. Yet summoning the patronus is not always easy. In Ignatius’ writing, we likewise find good and bad spirits and learn how memories of past blessings help lift the soul from desolation. The best defense against the dark arts is hope; imagination is its home. Ignatius knew that. After all, what are the Spiritual Exercises if not a schooling of the imagination? Hope is our resurrection stone; Easter is its shape.. I have never been a big fan of Harry Potter, but my daughter has read the whole series a few times and I'm not quite happy with that... Although I have to agree with you on "Christian faith is built on a story, and stories require imagination" - a creative story is what we humans like. I have read all the J. K. Rowling books. One of the real benefits of the Harry Potter series is that it motivated thousands upon thousands of young people to read. The magic and the amazing animals and terrible villains simply provided a backdrop to what was a coming of age story of three very close friends that children and young adults could relate to. The world Rowling created is extremely interesting, full of wonder and adventure not dissimilar to Tolkien's Middle Earth. Both Hogwarts and Middle Earth are worlds threatened by a seemingly invincible evil that darkens all the world. They are haunted by roaming dark forces: the evil Sauron invades middle earth and Voldemort threatens Hogwarts; Frodo faces the Nazgûl and Harry the Dementors. Tolkien created Gandalf who helps Frodo and his faithful friend Samwise Gamgi and Harry, Ron, and Hermione have Dumbledore to guide and protect them. The similarities are many, but Harry is actually someone kids can relate to much better than Frodo. Harry's world is very like that of 12-18 year-olds in middle and high school. Rowlings' books and movies were released over a ten year period so young people could literally age right along with the characters. The Harry Potter books are wonderful companions for boys and girls growing up, and they teach valuable lessons. They have been translated into around 70 languages, so their appeal is cross-cultural. Rowling has created a "mastertale" for our age. This article also appeared in print, under the headline "A Jesuit perspective on Harry Potter," in the June 26, 2017 issue. William Reiser, S.J., is a professor in the religious studies department at the College of the Holy Cross in Worcester, Mass.